The chocolatey, spicy aroma greets you as you start to drink. Silky on the palette, rich with coffee flavours and chocolate raisins, beautifully soft and easy drinking. Rediscover your Ready brek glow this Winter. Available in December to March. Got a lot of time for this brewery. 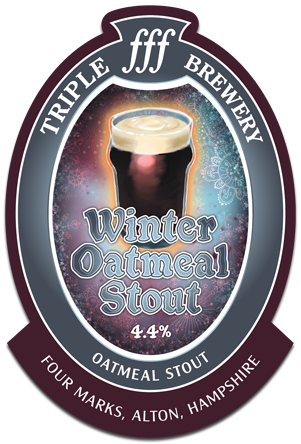 Very good oaty stout with coffee and choccy notes in equal measure. Nice bitter roasted malt in finish. Mmmm. Very good stout. More chocolate than coffee, which is good in my book. Not too bitter.